The Electronic Journals platform provides a full suite of services for creating and hosting on-line journals, including mechanisms for article submission, peer-review workflow, journal layout, reader access, and long term archiving. OJS will be of interest to Memorial University faculty who are planning to launch a new electronic journal, those who are looking for an electronic delivery platform for journals that currently exist only in paper, or those who would like to repatriate an electronic journal currently hosted elsewhere. Students will also be welcome to participate in the project, and the library will provide technical support to those interested in creating an on-line journal, or an on-line version of an existing journal. For more information please contact Patrick Gamsby. Kabiri is a peer-reviewed, invitation only, open-access venue for new work on Schelling and Schelling related scholarship in English, which appears once a year. The Singing Network was established in October 2014 at Memorial University of Newfoundland (MUN), St. John’s, Newfoundland and Labrador, Canada, by Professor Ki Adams and Dr. Andrea Rose along with a steering committee of Memorial University faculty members in music, education and ethnomusicology. The projects of The Singing Network are designed to engage individuals and organizations from varied contexts and disciplines. Each of these projects involves collaboration and partnerships with local, national and international colleagues. The international Symposium on Singing and Song, in addition to local, MUN-community based projects, serves to mobilize knowledge, expertise and resources in support of musical, cultural social, health and wellbeing, and educational contexts. We understand the powerful impact of singing in our communities and aim to stimulate and provide programs and experiences for the sustainable development and innovation of singing and use of the voice in all contexts. The Singing Network is committed to working with multi-disciplinary communities toward the realization of the potential of singing and song in our lives. The Singing Network is supported by Memorial University School of Music and Faculty of Education, The Bruneau Centre for Excellence in Choral Music, and the MUN Office of Public Engagement. A journal published bi-annually in the Memorial University of Newfoundland Faculty of Education. Paper Mill Press is published annually at Grenfell Campus, Memorial University. Submissions of 3-5 poems, up to 2000 words of prose, and or 3/5 high-quality jpeg images may be submitted electronically to papermillpress@gmail.com. Paper Mill Press is produced with the financial support of the Office of the Provost, Memorial University, and the Division of Arts, Grenfell Campus, Memorial University. All copyright remains with the contributing artists/writers. While the editorial board is responsible for choosing published materials, opinions expressed by the authors and artists are solely their own. The periodical Regional Language Studies...Newfoundland (RLS) has been supported by the English Department, at times jointly with the Folklore Department, since 1968. Its original aims have been maintained and developed since then: to spread information about all aspects of linguistics, to print bibliographies, especially to present articles on regional vocabulary and meanings, and to examine place and family names. RLS welcomes submissions from academics, students, and others on topics relating to Newfoundland languages. 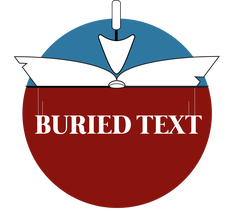 Articles on non-English language topics in the Newfoundland and Labrador context are also encouraged. Marine and freshwater are essential components of the earth's hydrosphere and their protection has been one of the most critical and challenging tasks for all the involved researchers, engineers and decision makers at a global scale. Within a changing global context, effective protection and management of water environments demand continuously improved knowledge and technologies, sound decisions and practices, and benign legal and socio-economic environments. The iMFE 2014 provided a unique international platform for exchange of ideas and experiences amongst researchers, practitioners and regulators in the field. The conference was organized jointly by the 2014 Atlantic Symposium of the Canadian Association on Water Quality, the 2014 Annual General Meeting and 30th Anniversary Celebration of the Canadian Society for Civil Engineering Newfoundland and Labrador Section, the 2014 Annual Conference of the International Society for Environmental Information Sciences, and the 2nd International Conference of Coastal Biotechnology of the Chinese Society of Marine Biotechnology and Chinese Academy of Sciences. This two and half day event was packed with 23 informative sessions, more than 60 oral presentations, and 15 poster exhibitions. Over 100 participants from 9 countries attended the conference to discuss and appreciate of various aspects involved in the protection of freshwater and marine environments as well as sustainable development of natural resources (water, oil & gas, mineral, etc.). The iMFE 2014 conference was able to provide a unique platform for exchange of ideas and experiences amongst decision-makers, managers, researchers and academics from different areas of water environmental protection; to provide a communication forum for scientists and engineers to discuss and appreciate of various aspects involved in the protection of freshwater and marine environments as well as sustainable development of natural resources in coastal areas and oceans, particularly under harsh environmental conditions; and to foster an integrative understanding of water and the environment as well as exploring sound engineering solutions. The wealth of information exchanged at this conference will be of great benefit to all involved with marine and freshwater protection problems. It is also expected to help achieve the following long-term goals: to extend the research network to a national and then an international level; and to help develop long-term research collaborations on water management and sustainable development, especially in harsh environment. This proceedings is devoted to help refine future strategies for effective management of the world’s marine and fresh waters by the summary of recent scientific research on the management of water quality through model- and technology-based investigations and case studies. In summary, all papers represent some of the latest and most promising research results in the field of marine and freshwater quality management. We believe that this proceedings will inspire further research and benefit practice along the same lines. Finally, we thank all the authors for their worthy contributions and the reviewers for their precious time and efforts to help ensure the high caliber of quality. Proto-type is an online journal of undergraduate research and scholarship for the Faculty of Engineering and Applied Science at Memorial University of Newfoundland. The Phenomenon of Singing is an International Symposium and an integral academic compnent of Festival 500, Newfoundland's celebrated international choral festival. The Symposium attracts international scholars, pedagogues and artists who come to engage with others in interdisciplinary discourse through the presentations of research, lecture-recitals, panels, poster sessions and roundtable dialogues. Presentations address a variety of aspects of singing and the voice including artistic, physiological, cultural, sociological, historical, pedgagoical, psychological, creative/compositional... and more. The Symposium aims to gather international expertise, provide a forum for interdisciplinary discussion, performance and the dissemination of research, and generate further knkowledge relating to the phenomenon of singing. 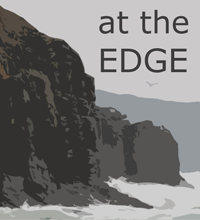 At the Edge is a peer-reviewed, open access online journal that showcases the work of emerging scholars, particularly in the fields of eighteenth- and nineteenth-century literature and culture, or on Romanticism very broadly defined. At the Edge welcomes submissions from a wide variety of critical, theoretical, and interdisciplinary perspectives. In addition to essays that take more traditional approaches to literary and cultural research and writing, we strongly encourage innovative and creative forms of scholarly engagement that expand the genre of academic writing to reflect the changes and possibilities of publishing in a digital environment. 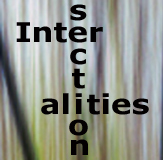 This is an interdisciplinary journal devoted to the scholarly exploration of the method of functional specialization and its implementation in any field. Mapping Politics accepts submissions in all areas of political science and related fields from undergraduate and masters students at universities throughout Canada. This student-led journal is hosted by the Department of Political Science at Memorial University of Newfoundland in St. John's, Newfoundland and Labrador. ***PLEASE NOTE*** Postscript is not accepting new submissions at this time. Postscript is an interdisciplinary journal published through the Department of English Language and Literature at Memorial University. 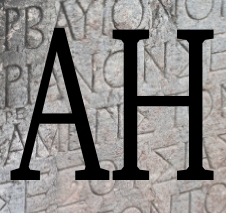 Contributors in any field of the humanities who are currently enrolled in graduate or post-graduate programs or are recent graduates are eligible to submit. Submissions considered for publication will be adjudicated by peer review. Postscript is an open access journal.